It is the story of five women from different countries who were victims of domestic violence and their struggle to face and survive it. This complex and extensive problem will be approached attempting to transcend typical and stereotyped ways. She studied cinematography at the CUEC-UNAM film school in Mexico City. 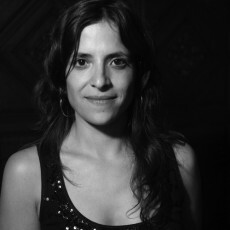 She has received several grants and awards for her film work, including the Young Creators Grant of the National Fund for Culture and the Arts (FONCA) for her project "Marginal Film Cooperative," in 2009, and the University Award for Young Academics, in the area of ​​"Artistic creation and creation of culture," from the National Autonomous University of Mexico (UNAM), in 2012. Her work has been shown at more than 60 film screenings and festivals around the world, and has been nominated on three occasions for awards by the Mexican Academy of Cinematographic Arts and Sciences, the Ariel. She won the award for Best Documentary Short Film at the 47th Ariel Awards for Soy(2004). She participated in the 47th Critics' Week, a parallel section of the Cannes Film Festival, France, with her first feature length documentary, My Life Within (2007), which won, among other prizes, the Best Documentary Made by a Woman and Best Feature Length Documentary Awards at the 5th Morelia International Film Festival (FICM); the Jury Grand Prize at the 6th Paris International Film Festival on Human Rights (FIFDH, in French), Paris, France; First Place in the "Human Rights" category at the 10th Buenos Aires International Independent Film Festival (BAFICI), Argentina; and Best Reporting at the 5th Documenta Madrid International Madrid Documentary Film Festival, Spain. She is currently working on her documentary feature Intimate battles, which has received grants from the Fund for Quality Film Production (FOPROCINE), in 2012, and the Fiscal Stimulus for Investment Projects in National Film Production and Distribution (EFICINE), in 2013. Her film Intimate battles (2016) is part of the Official Selection of the 14th FICM.